In December of 1988, the restaurant chain Denny’s decided to close all of its 1,221 stores for the Christmas holiday. This was not an easy decision for the company to make. The chain was well-known for being open 24-hours-a-day, 365-days a year, so closing on Christmas day was predicted to cost the chain $5 million in sales. They were faced with an even bigger problem: Since the chain never shut its doors, many of their restaurants were either built without locks on the doors or no one could find the keys to the locks that did exist. The company had to install door locks in more than 700 of its restaurants just so that they close for that one day. My wife and I stopped at our local Denny’s a few weeks ago and the first thing I did was check the door. There was a lock there. 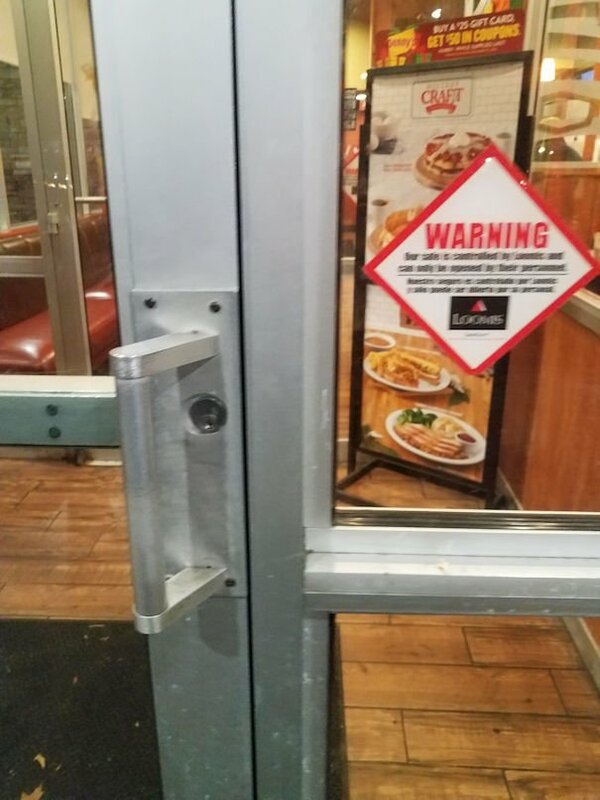 Picture taken at the Denny’s restaurant on Wolf Road in Colonie, NY on November 30, 2018 confirming that there is a lock installed on the front door.